The Nickelodeon Kids Choice Awards 2017 will premiere on Nickelodeon, Sonic, Nick Jr. and Nick HD+. Nickelodeon Kids Choice Awards 2017 will also see the entire Viacom18 network come together to telecast the muc awaited awards across network channels- Colors, Rishtey, Colors Bangla, Colors Marathi, Colors Gujarati and Viacom18’s OTT platform VOOT. India’s only award show by the kids, for the kids and of the kids – Dabur Red Paste presents Nickelodeon Kids Choice Awards 2017 powered by Jolly Rancher in association with Yellow Diamond and Funskool and Apis Honey are honored the best in the world of Entertainment across film and television. The star-studded evening which took place on December 15th 2017 at NSCI Dome, Mumbai saw the best and biggest of both Bollywood and Television personalities like Alia Bhatt, Ranveer Singh, Varun Dhawan, Kriti Sanon, Badshah, Shantanu Maheshwari, Dharmesh Sir, amongst others walk the much talked about ‘Orange Carpet’. The starry evening captured everyone’s imagination through extraordinary performances and magical moments that will be etched in everyone’s mind for a long time. The Nickelodeon Kids Choice Awards is the only Awards Show in the country that has kids decide on who would win the coveted orange “Nickelodeon Blimp”. With nearly 2.5 lakh votes, the kids have truly chosen their favorites. Golmaal Again won in the Best Film category while Ranveer Singh won the Best Actor (Male) Award. Alia Bhatt won the coveted Best Actress (Female) award and Badri Ki Dulhania, the song that had the entire country grooving to its tunes was voted as the Best Song by kids. 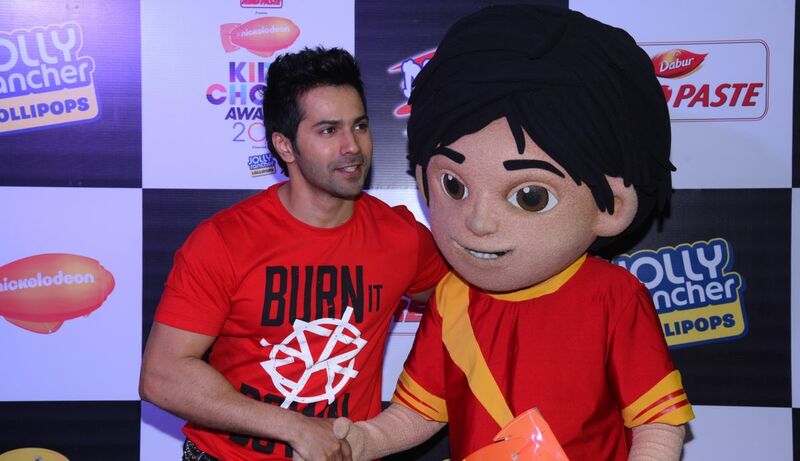 The much adored Varun Dhawan was voted by kids as The Dancing Star and the Best Entertainer of the Year award. Motu Patlu received maximum votes and was declared the Best Show on a Kids Channel in the country. Motu won the Best Indian Cartoon Character of the year award.